Kyoto J-Pop singer Asachill on the street in Harajuku wearing a colorful print jacket by the Japanese streetwear brand MYOB NYC, with black shorts, fishnet stockings, platform boots, an o-ring choker, and cat ear headphones. Japanese student on the street in Harajuku wearing a black and red look with vintage items, Faith Tokyo, and Demonia platform boots. 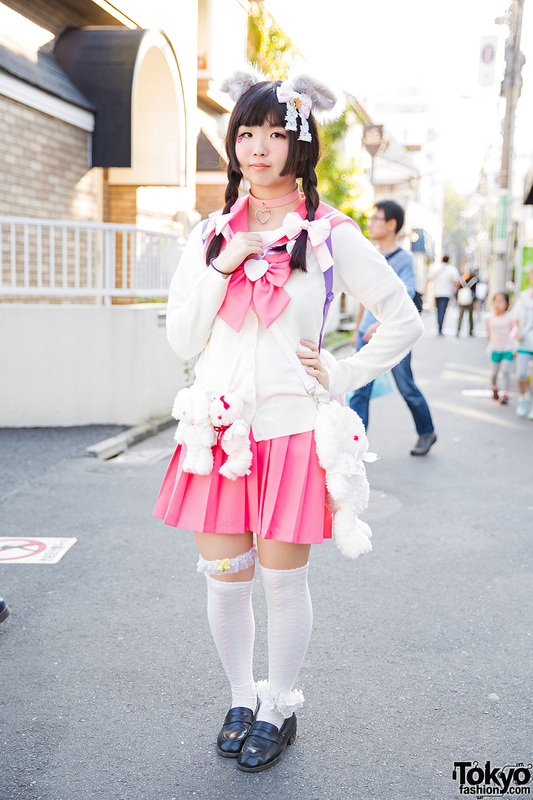 Harajuku girl in pastel colored outfit with harness and colorful accessories. Harajuku goth punk girl in twin tails, corset, lace skirt, statement jewelry and platform creepers. 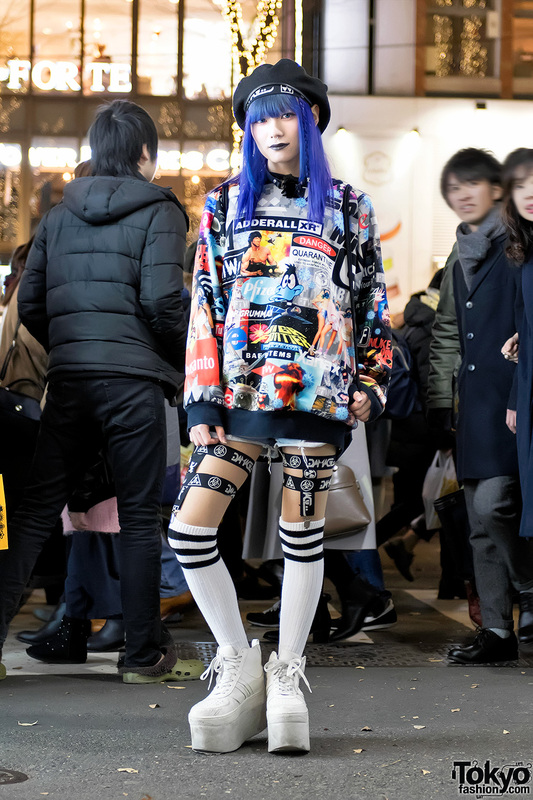 Harajuku girls wearing dark fashion, piercings, platform shoes, and accessories from the popular Japanese boutique Never Mind the XU. Cute Harajuku street style featuring furry ears and furry tail, a Japanese sailor uniform, and plush animal accessories from Baby, The Stars Shine Bright. Harajuku girl with a twintails hairstyle and cute colorful fashion including a shooting stars muffler, tulle skirt, and fuzzy platforms.